Donâ€™t Slave Away in the Kitchen…Let Us Do All the Cooking For You. Victory Tavern’s Executive Chef Jim Oetting displays his originality with bold flavors and seasonally inspired dishes, gently infusing creative approaches to comfort food classics. 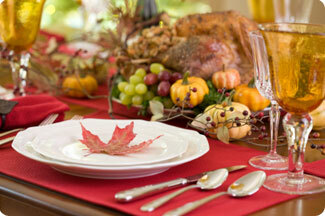 You’re sure to have the best Thanksgiving Dinner in town! Order Deadline is Saturday, November 20th at 4pm. Just fill out the order form and fax it to us or give us a call at 214-432-1900. Orders will be available for pickup at Victory Tavern on Wednesday Nov 24th from 1-9 PM. Items may be reheated in the containers they come in, and we will provide you with reheat instructions. It couldn’t be easier!